With a growing interest in macro photography I invested in the Canon EF 100mm f/2.8 USM Macro lens to use with both my Canon EOS 6D / Canon EOS 70D DSLR bodies. 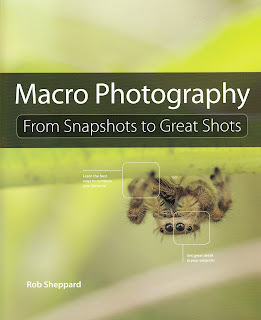 I acquired this handy book for improving my macro photography knowledge, skills and techniques required for creating higher quality macro photos (with both Canon EOS APS-C and Full Frame bodies). This well-illustrated macro photography book is highly recommended for new or advanced photographers interested in taking macro photography to the next level. 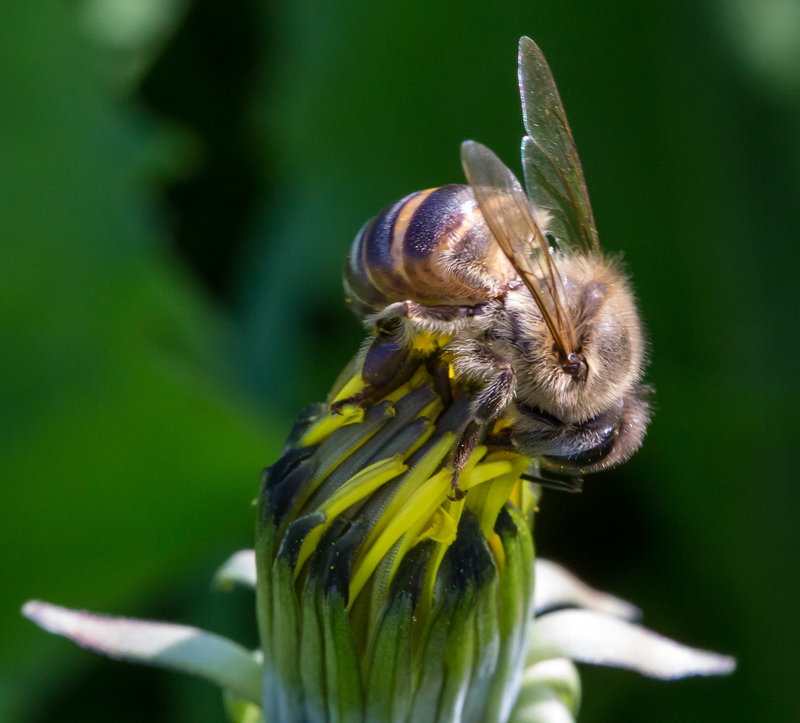 Very easy to follow, with detailed explanations for understanding the difference between close-up and macro photography, using different camera bodies / lenses and macro accessories. 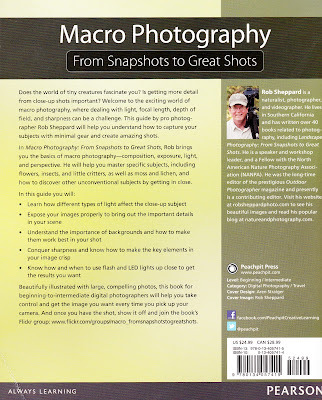 The 200+ pages are packed with the author's expert knowledge, skills and many practical camera / macro photography demonstrations. 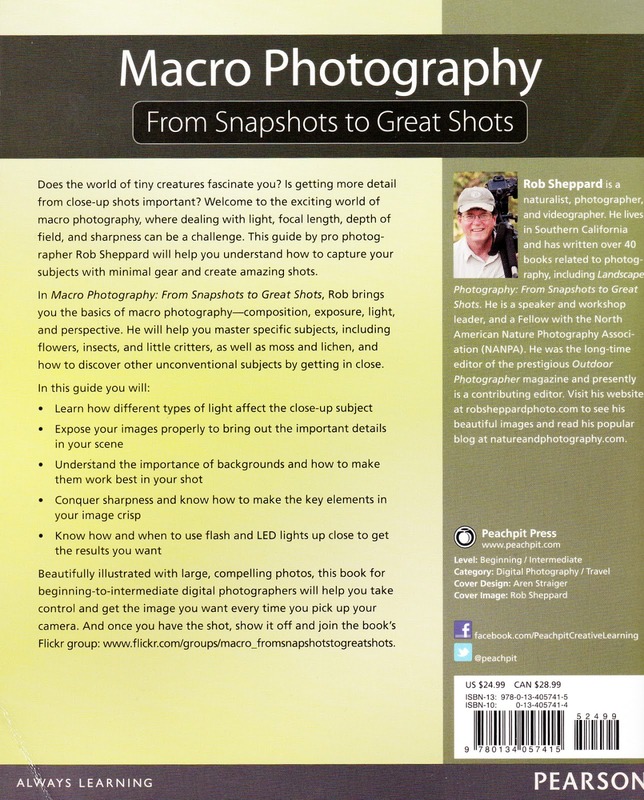 Each chapter is a well-structured combination of macro requirements and settings (with images) and detailed explanations / demonstration on how to achieve similar results.